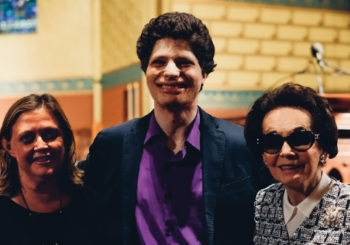 Check out the terrific interview in Strings with Stradivari Society recipient and Grammy-winning violinist Augustin Hadelich about playing the exquisite “Kiesewetter” Stradivari violin thanks to his generous patrons Clement and Karen Arrison: http://stringsmagazine.com/augustin-hadelich-1723-ex-kiesewetter-strad-violin. Photo credit: Paul Glickman. Check out the terrific feature in The Huffington Post about violinist Vadim Gluzman, Stradivari Society recipient of the “Auer” Stradivari of 1690, who will be playing Tchaikovsky's Violin Concerto with the same violin that was played by Leopold Auer, to whom the concerto is dedicated. 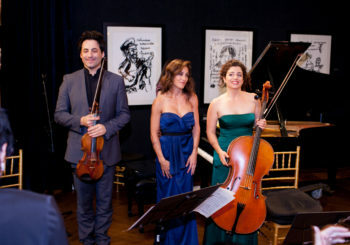 The performance is with the Orpheus Chamber Orchestra at Carnegie Hall on February 4.